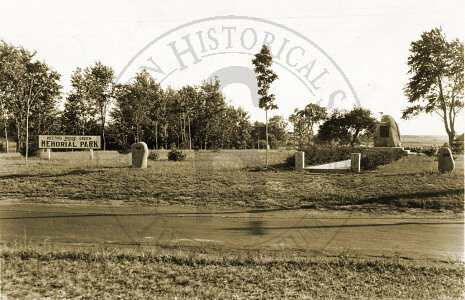 Hampton's triangular-shaped park bounded by Landing Road, Park Avenue, and Cuss Lane (across Park Ave. from the Tuck Museum complex) was dedicated as "Meeting House Green Memorial Park" on Wednesday, October 14 (Founders Day), 1925. It is commonly called "Memorial Park" or "Founders Park." This park was the result of the efforts of one man - Rev. Ira S Jones. 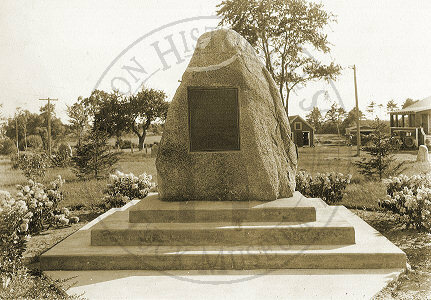 Although not a native of Hampton, Jones was deeply interested in its history and felt that a memorial should be established to commemorate its earlier settlers. He was able to secure funding from philanthopist Edward Tuck of Paris (in whose honor Tuck Museum, Tuck Field, etc. came to be named). 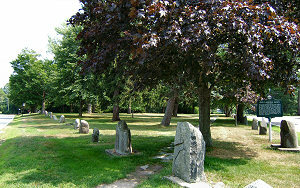 Stones representing the early families of Hampton are emplaced around the perimeter of the Park and now number 43. 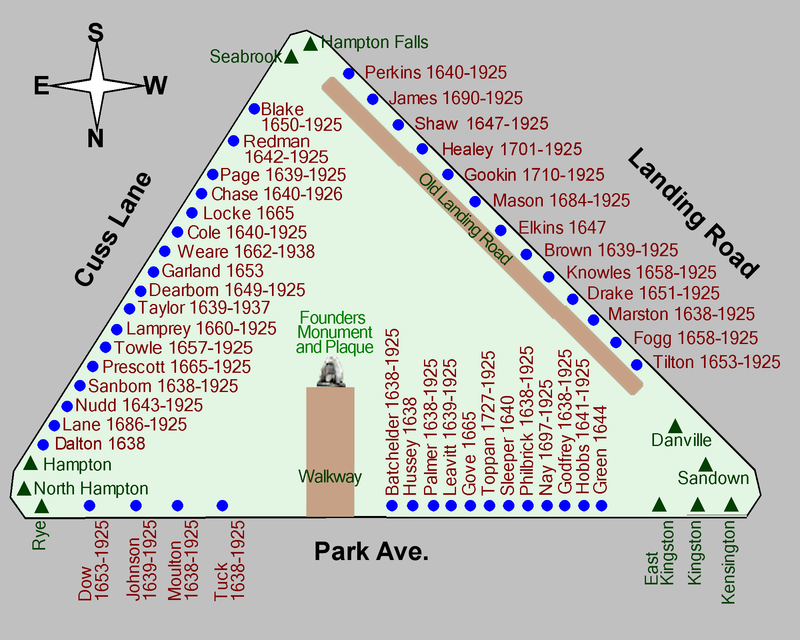 Generally, stones have been approved by the Hampton Historical Society for families who came to the area then constituting Hampton from 1638 to about 1695, which takes in the first four large groups to settle here. 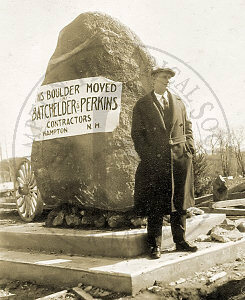 The town approves new stones after approval by the HHS. 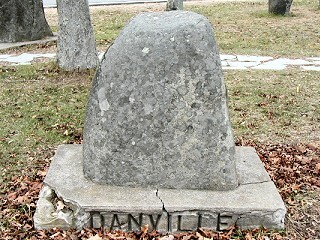 At the three angles of the park, larger stones represent Hampton and the "Daughter Towns" of Hampton. 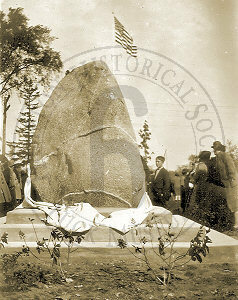 In the center of the park, a huge 12-ton boulder with a plaque is dedicated to "a little band of pioneers under the leadership of Rev. 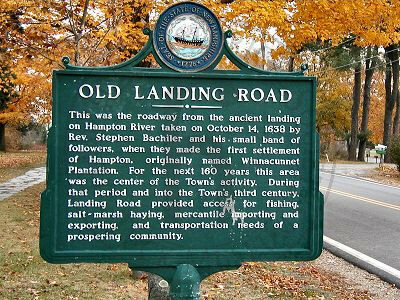 Stephen Bachilder," who came to Hampton (then called Winnacunnet) and settled here in 1638. 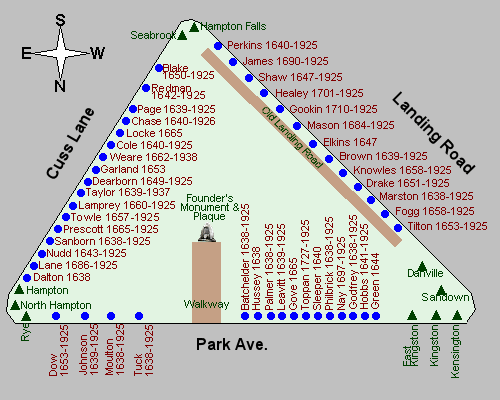 A diagram of the park, showing the placement of the stone plaques. 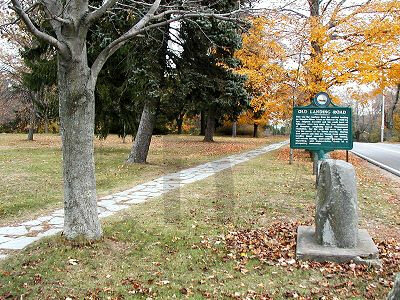 An alphabetical list of all the town stone plaques (with links to a picture of each). Pictures of a portion of "Old Landing Road", which is situated inside the park on the west side, parallel to Landing Road. Pictures from the Dedication festivities, October 14, 1925. A little band of pioneers under the leadership of Rev. Stephen Bachiler of Southhampton, England, seeking a larger liberty, in October 1638 settled in the wilderness near this spot to plant a free church in a free town. They were joined in 1639 by others and in that year the town was incorporated. 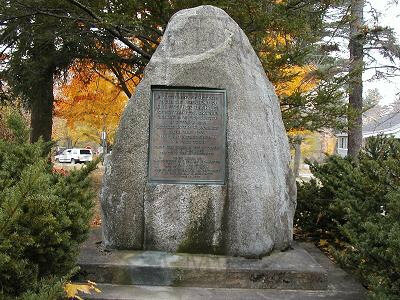 To do honor to the founders and fathers of Hampton, to exalt the ideals for which they strove, and as an inspiration to posterity, this memorial is dedicated, October 14, 1925. 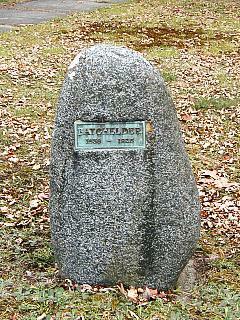 Click a name in the chart on the left to see a picture of that stone plaque on the right. Moving the boulder to the site. 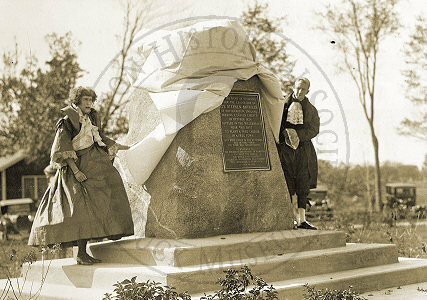 Unveiling the monument, by Elsie and Horace Batchelder, direct descendents of Rev. Stephen Bachilder.